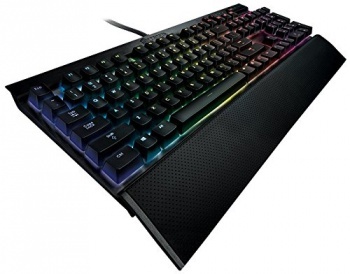 A mechanical gaming keyboard with Cherry MX switches and 16.8 million color customizable per-key illumination, a detachable wrist rest, and full-key rollover, the K70 RGB also enables you to assign macros to any key. This iteration of Razer's famous BlackWidow mechanical keyboard features all new Razer mechanical switches said to last 20 percent longer than standard Cherry MX switches, as well as 16.8 million color customizable backlighting. It has 10-key rollover, and every key - plus its five macro keys - is fully programmable and remappable. 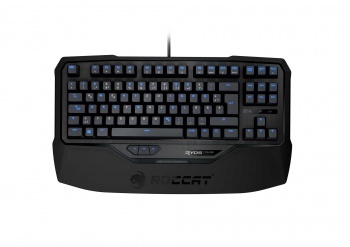 A 10-keyless mechanical keyboard with customizable per-key illumination, Cherry MX switches, N-key rollover, and a built-in wrist rest, the Ryos TKL Pro takes ROCCAT's winning Ryos MK Pro and turns it into a slim-profiled keyboard. The Orion Spark is a mechanical keyboard built with new Logitech-exclusive Romer-G switches that claim 25 percent faster actuation than competing switches. 16.8 million color customizable per-key illumination, nine programmable macro buttons, and a smart dock that allows you to use your phone or tablet as a display screen round out its features. The lack of a native display may put some folks off, but it really doesn't impact how great a gaming interface the Orion Spark keyboard really is. 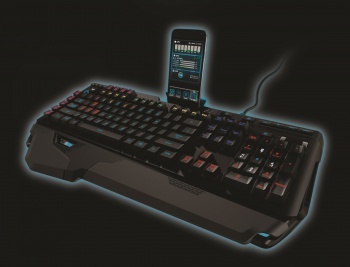 All of the features of the keys' design, the mechanical switches, the lighting and the software support add up to a peripheral that really improves your gaming experience. If you can afford it, have been thinking about upgrading your keyboard, and don't need a screen, the Orion Spark is worth considering. This 10-keyless mechanical keyboard features white LED backlighting with per-key illumination and responsive lighting effects upon keystrokes. Cherry MX switches, a detachable braided cable with micro-USB connector, and N-key rollover round out its features.